Hihihihihi!!! 😀 😀 Oh, this is adorable, I am laughing and laughing! 😀 Hihihihihihi!!! 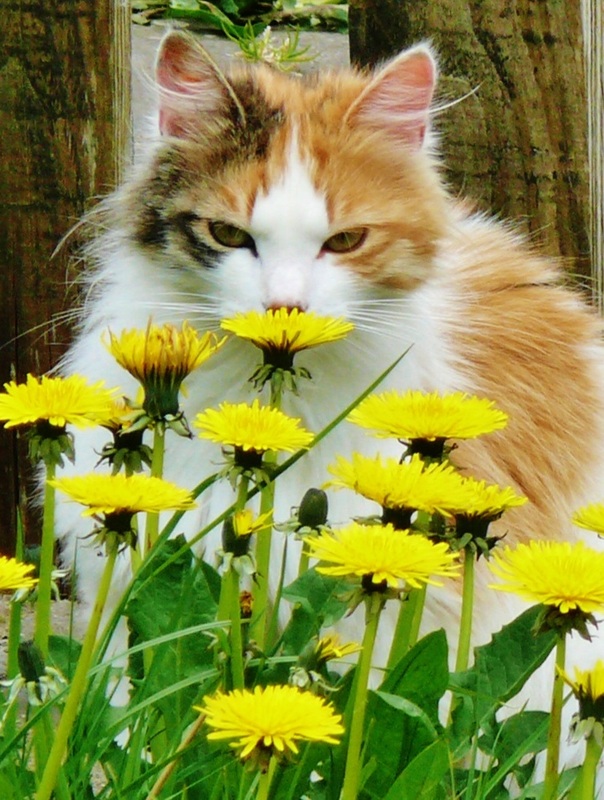 I have noticed that cats LOVE to smell flowers…have you noticed this too? My kitties are drawn to any blooms that are around. I think its a wonderful reminder that they too enjoy the beauty around us. I noticed, smelling anything for that matter. Curious fascinating beings indeed! This one cracks me up on a daily basis… lol!